Haris Abdrahmanovich Jakupov was born on December, 23rd, 1919 in a city of Kazan. Has ended the Kazan art school in 1940. The participant of the Great Patriotic War. After demobilisation since 1946 — in Hudfonde of Tatarstan. With 1948 for 1952 taught in the Kazan art school. 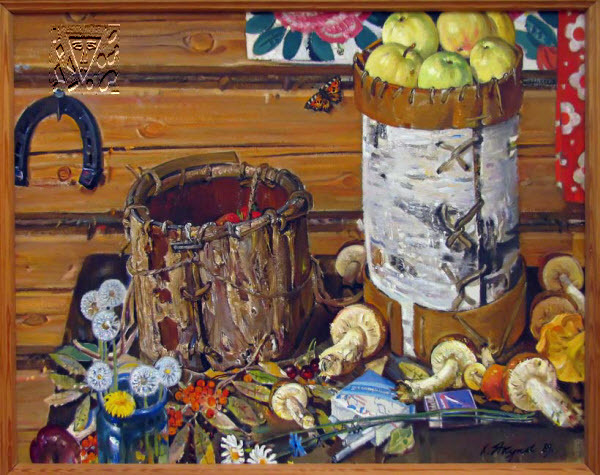 With 1951 for 1975 held a post of the chairman of the board of the Union of artists Tatarstan. With 1976 for 2007 supervised creative masterful Academy of Arts of Russia in Kazan. The author historical and conversations, portraits, landscapes ("Prologue", 1970; «Chelninsky beauties», 1975). The participant of the All-Russia, zone, republican and personal exhibitions. H.A.Jakupov has died on February, 17th, 2010 in Kazan.